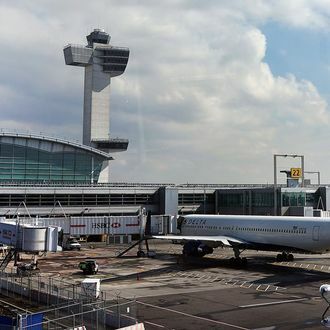 This month JetBlue is opening its $200 million addition to Terminal 5 at JFK Airport, and in the next year it may get even swankier. The designer, Gensler, is hoping to transform the roof of the arrivals hall into a park accessible to all travelers. Architect Ty Osbaugh told the New York Times that the new space would look “a lot like the High Line, but not quite that industrial,” and on a clear day it would offer views of the spire of 1 World Trade Center. It would also give Mayor de Blasio an opportunity to figure out what the High Line is without having to visit the Bloomberg-affiliated Chelsea park.